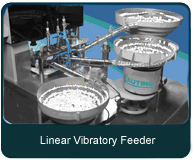 Linear vibratory feeders are used to transport orientated parts supplied by the circular vibratory feeder to the workstation..
AUTING manufactures different models of centrifugal bowl feeders .Parts Rotary feeders are used in applications where high production is required or when other types of feeders are not allowed. 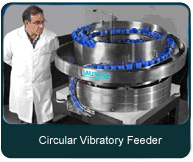 They are used to feed parts by gravity ramps from the vibratory feeder to the work station . 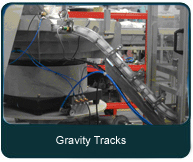 Depending on the parts material and environment conditions. 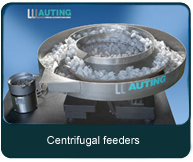 AUTING produces different hoppers vibrators capacities. 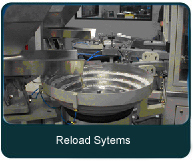 These are used to reload the circular feeders by gravity effect.